Though both services are excellent, certain situations make one the better choice over the other. If you’ve been procrastinating on your taxes, we understand. Part of the challenge is deciding which tax preparer to trust with this annual chore. To help, we pitted two of the best web-based tax-filing applications against each other: TurboTax and H&R Block. 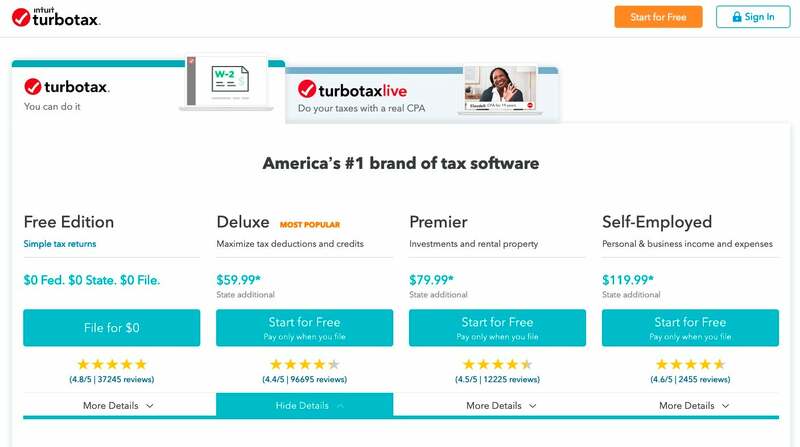 When we reviewed the 2019 versions of popular tax software, these two options finished at the top of the pile. Each offers excellent features and capabilities, clear user interfaces that are easy to understand, and collections of features that most tax filers need. But a few differences give each an edge depending on the situation. Figuring out how much it costs to file your taxes depends largely on how complicated your taxes are and whether or not your state requires you to file income taxes. 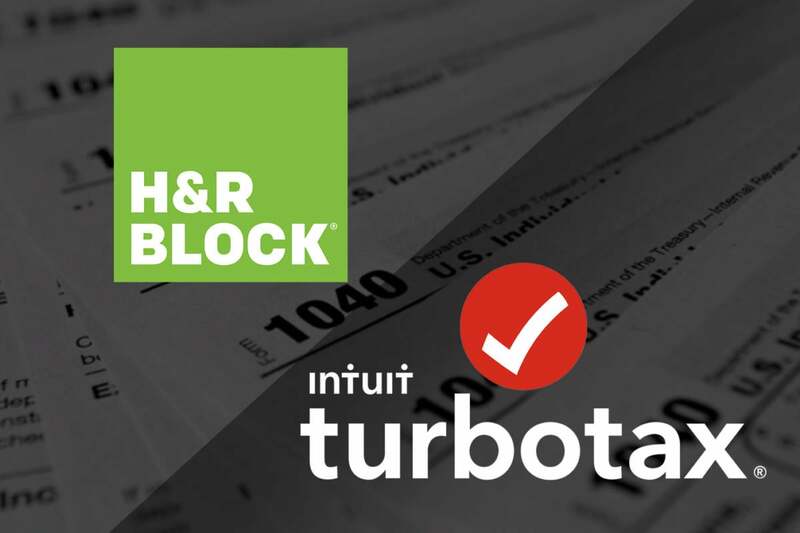 Both H&R Block and TurboTax offer free state and federal filings for many users, but H&R Block offers free filing for a broader range of users, including folks who have student loan interest and tuition deductions, or child and dependent care exemptions. TurboTax's in-app features are slightly better than H&R Block's, but you will pay a little more for them. For those who can’t use the free filing option, TurboTax and H&R Block offer essentially the same features in packages that have slightly different names. They also both offer options for getting personalized online help from a tax professional for a fee. TurboTax is about $10 more expensive, by package, than H&R Block is. However, no matter which company you choose, you’ll pay about $40 to file your state return, if your state requires you to file a tax return. For most of the last several years, TurboTax was always the clear winner when it came to user interface and the ease with which you could complete your taxes—but this year, H&R Block has evened things up. Both TurboTax and H&R Block offer interfaces that are clear and easy to use, with pleasant color schemes. They also each ask clear interview questions that leave you confident that you’ve selected the correct answers and that you’ve entered all the necessary information for the best return possible. TurboTax does have one annoying behavior—it often asks if you’d like to upgrade to a different version of the app. H&R Block does offer upgrade options, but you’re not getting upsold as constantly while using it. Overall, though, it’s a minor irritation. H&R Block holds an advantage in that you can visit a tax pro in person to talk about your return. TurboTax and H&R Block both offer access to live help from tax pros, but H&R Block has the advantage with physical offices nearly everywhere. Once you’re done entering your information, you have the option to take your return to one of H&R Block’s local offices. If you’re seeking feedback from people with deep expertise, getting in-person interaction is hard to beat. Though a little more expensive than H&R Block, TurboTax’s higher price tag is worth it for independent contractors. if you file using TurboTax Self-Employed, you’ll also get a year’s access to QuickBooks Self-Employed as part of your TurboTax package. QuickBooks Self-Employed makes it easy to track your self-employment income throughout the year; guides you when it comes to paying quarterly and self-employment taxes; and helps you keep a better eye on your business-related expenses (and thus possibly a better outcome for next year’s tax season). The best tax software for you, of course, won’t always line up neatly with a purchase based purely on price or a single feature. So here are our picks for who wins between TurboTax and H&R Block, when based on a more holistic set of criteria. H&R Block is the tax application for you. You’ll get far more forms for free and more bang for your no bucks using H&R Block. Either TurboTax and H&R Block will suit your needs perfectly. Have a look at each to see which version feels best to you, since the $10 price difference between the two is too little to worry about. Your level of comfort should be your guide when choosing. TurboTax and H&R Block both do a good job handling returns for homeowners, parents, and basic investors, so pick the one with the interface you like most. TurboTax is the tax application for you, especially because you get QuickBooks Self-employed when you file your taxes with TurboTax Self-employed. Which, for next tax season, will help you avoid underpayment penalties and stay on top quarterly taxes for the 2019 tax season. H&R Block is the ticket for you, as it’s the only one of the two options that offers brick-and-mortar businesses you go to to finalize your taxes. We recommend that you skip TurboTax and H&R Block and instead a few extra bucks on having a tax professional who’s well-versed in the specifics of what you do handle your taxes. If you do, it’s more likely that you’ll get the best bang for your buck and avoid an audit.